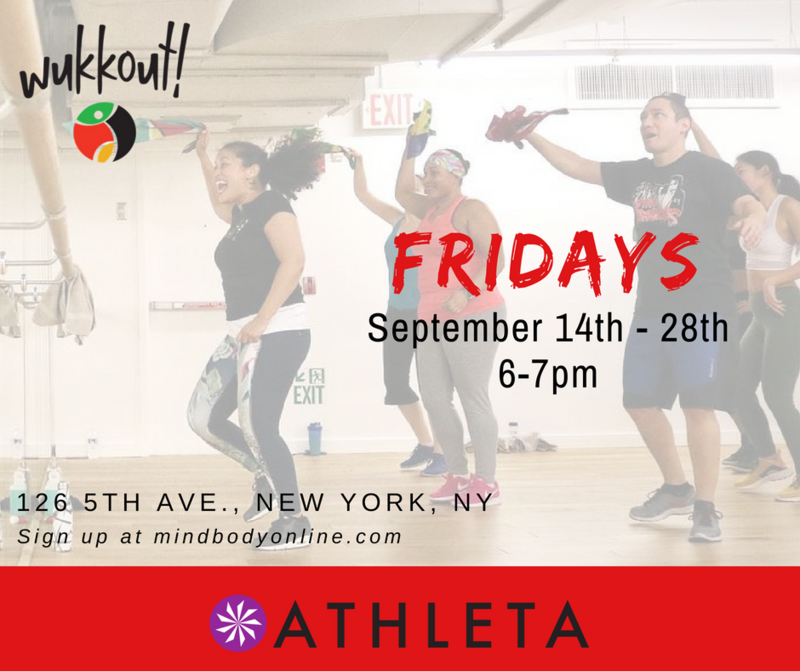 After a few weeks off, we are excited to be back at the Athleta Studio (126 5th Ave., NYC) for three classes this month. Join us on Fridays at 6pm (with no class on 4/20). Athleta Ambassador & Wukkout!® Founder, Krista Martins, with Cas Rum Beverages Founder, Andrea Castillo. Get Krista's outfit here: Nirvana Wrap, Essence Twist Long Sleeve & Skulptek Skinny Jean Grey Wash.
Class is free and open to the public however advanced registration is required. Head to the Athleta Studio page on MindBody (or on the MindBody app), search for the date of the class you'd like to attend, and sign up now (you will be required to create a MindBody Account if you don't already have one). Registration opens up 10 days in advance and classes and the waitlist fill quickly. Feel free to contact us with any questions and sign up below. Special thank you to everyone who came out last month for our Friends & Family event, we appreciate you! Stay tuned for our April Athleta Ambassador event details coming soon. 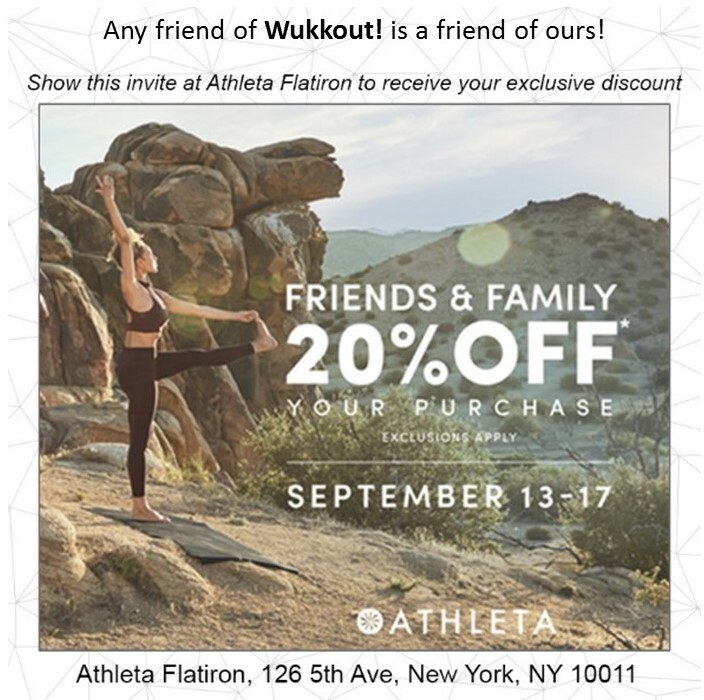 Wukkout!® is pleased to be partnering up with Girls on the Run and Athleta Flatiron to offer a class benefitting Girls on the Run NYC. 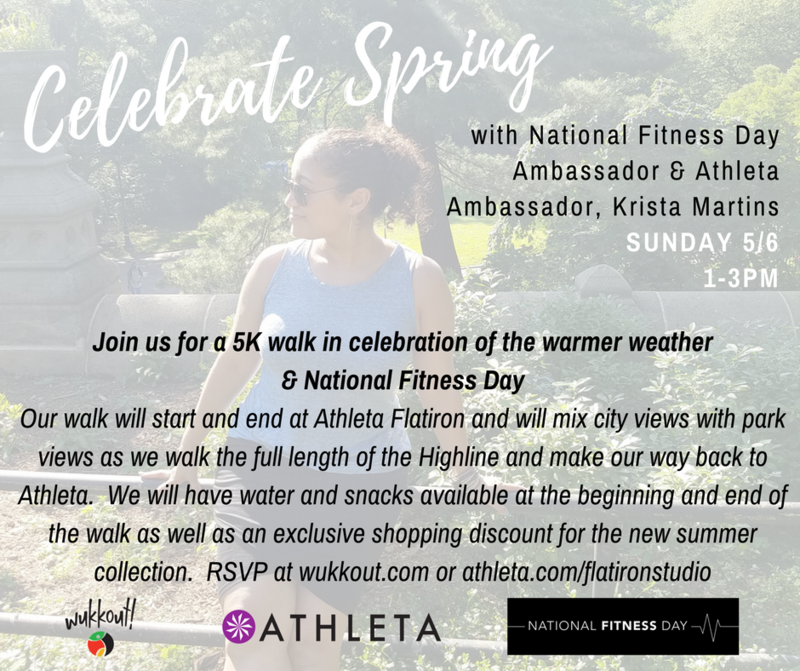 We will be hosting a Wukkout!® class, lead by Founder, Krista Martins, for the final class of the Girls on the Run February Fitness Series at Athleta. 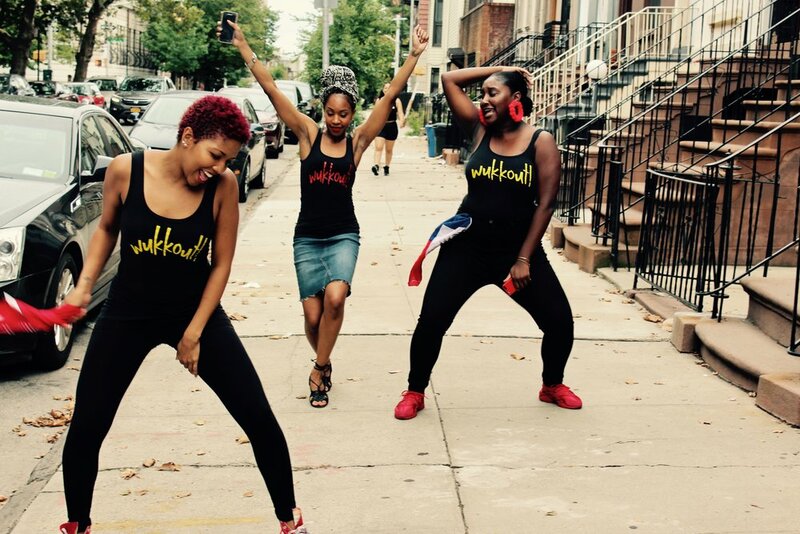 All proceeds will directly benefit Girls on the Run NYC. See details below. "Girls on the Run is a transformational physical activity based positive youth development program for girls in 3rd-8th grade. We teach life skills through dynamic, interactive lessons and running games. The program culminates with the girls being physically and emotionally prepared to complete a celebratory 5k running event. The goal of the program is to unleash confidence through accomplishment while establishing a lifetime appreciation of health and fitness. Girls on the Run NYC is an Independent Council of Girls on the Run International, which has a network of over 200 councils across the United States." To learn more about Girls on the Run NYC, click here. Can you believe it's already November?? We are excited to be heading into the home stretch of 2017 by bringing you three classes at the Athleta Studio (126 5th Ave., NYC) this month. We will be holding classes on Fridays November 3rd, 10th & 24th (times listed above). As always, class is free and open to the public however early registration is highly recommended as spaces (and the waiting list) get filled quickly. Registration opens up 10 days prior to the class you'd like to take so keep an eye on MindBody to reserve your space. Athleta Ambassador & Wukkout!® Founder, Krista Martins representing at the Viacom Wellness Studio's, Health & Wellness Week. Get her outfit here: Highline Hybrid Cargo Tight, Cityscape Pullover, Rock Springs CYA Jacket. **The Athleta Studio has implemented a new late cancellation/no-show policy ($5 fee). Please be sure to read the waiver in your MindBody account. Massive thank you to everyone who came out last month; you always come with the smiling faces and the amazing energy and we appreciate you! P.S. Check out Athleta Ambassador and Wukkout!® Founder, Krista Martins, rocking the Athleta Sketch Sonar 7/8 Tight. On Friday March 10th at 6pm, we will be hosting an invite only Wukkout!® class and shop party at the Athleta Studio. 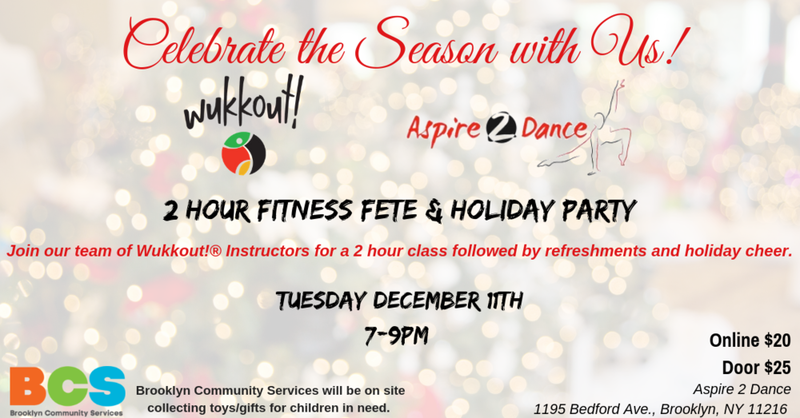 All participants will receive a special Athleta discount. If you would like to attend class, please be sure to email us with your first and last name. We will then send you your invite which will serve as both your entry into class and your shopping pass. Can't make it to class but would still like to shop? You're in luck! We have a special Athleta discount for you too. Your discount can be used anytime from March 9th-13th (at the Athleta Flatiron location only). Be sure to show it at the register when checking out. Contact us to receive your pass. Happy New Year everyone! We are excited to be kicking off 2017 with more classes at the Studio at Athleta Flatiron (126 5th Ave., NYC). You were the reason for the success of our classes in 2016 and we are happy to continue to share the #powerofshe at this amazing space. Beginning January 10th, we will be there for a weekly class series through January 31st at 6pm. As always, class is free and open to the public however early registration is highly recommended as spaces (and the waiting list) get filled quickly. Registration opens up 2 weeks prior to the class you'd like to take (to register for 1/17 - sign up begins 1/3, for 1/24 sign up begins 1/10, etc). See details below and feel free to spread the word! Huge thank you to everyone who joined us for the final Wukkout!® of 2016. We appreciate you! Please note that to ensure entry in the class, you must be on time. Athleta will start giving spots away to the waiting list and to any walk-ins once the class time hits. Additionally, Athleta will not let anyone into the class after 10 minutes. The studio has a capacity of 35 people and we are always filled to the brim. Get there early if you can! Feel free to email us if you have any further questions and hope to see you there! Can you believe it is December already? The time has flown by. Come to the Studio at Athleta Flatiron (126 5th Avenue, NYC) for our final classes of 2016 and celebrate the end of the year with a little sweat. As always, class is free and open to the public however early registration is highly recommended as spaces (and the waiting list) get filled quickly. Registration opens up 2 weeks prior to the class you'd like to take (to register for 12/16 - sign up begins 12/2, for 12/20 sign up begins 12/6, etc). See details below and feel free to spread the word! Thank you Athleta for my High Rise Jacquard Flow Chaturanga™ Tights. I love them! Thank you to everyone who came to Wukkout! with us last month. We hope to see you again!